The Trained Sewing Instructor program is produced by the Sewing & Craft Alliance (SCA). SCA provides educational information and creative resources to the sewing and crafting enthusiast. SCA also offers opportunities for retailers and businesses in the sewing, quilting, crafting or textile industries to showcase their products and services to the creative community through advertising, sponsorships and promotions. 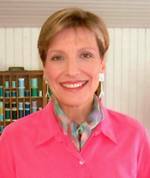 The Sewing & Craft Alliance is pleased to have Mary McCarthy as a part of our team. Mary has an extensive background in sewing, teaching, and business. A custom clothier and designer since 1991, she also loves sharing her knowledge with fellow sewing enthusiasts. She teaches beginner to advanced garment sewing in a variety of venues that include sewing guilds, specialty and chain fabric stores, national conferences, and on-line classes. She is also an adjunct faculty member of the International Academy of Design and Technology. Her formal background includes a B.S. in Clothing and Textiles, and M.B.A. She is also a Palmer/Pletsch Educational Associate and has authored two books on sewing techniques. Her creative and inspiring ideas have been featured in Threads Magazine, Sew News Magazine, and PatternReview.com. The Trained Sewing Educators Program was an excellent opportunity for me to prepare for my retirement! It has always been my dream to retire early and to start a home-based quilting business. The information gained has helped me in several ways. Although my college degree is in Family and Consumer Sciences with a concentration in clothing and textiles, it has many years since I had taught clothing construction. Preparing a lesson plan and then "teaching" my peers was a first step in the renewal of my skills. Also, the TSI resources and references have guided me in many aspects of developing my home based business, Stitching and Stirring. A 12 year old middle school girl is one of my students. She started taking sewing classes and fell in love with sewing. Christina’s grandma came to visit from the Philippines for a few months to help her daughter recover from breast cancer treatment. Looking for an activity to take their mind off the hospital, they started taking sewing classes. Christina wanted to make her Halloween costume, her Mom was interested in quilting and her Grandma wanted to make a cute blouse. Thanks to my training with S&CA ”Trained Sewing Instructor,” I was able to develop a lesson plan for the 3 different projects and teach in a manner which would not compromise the mother/daughter authority issue. It was a great success and a great therapy as well for the whole family!